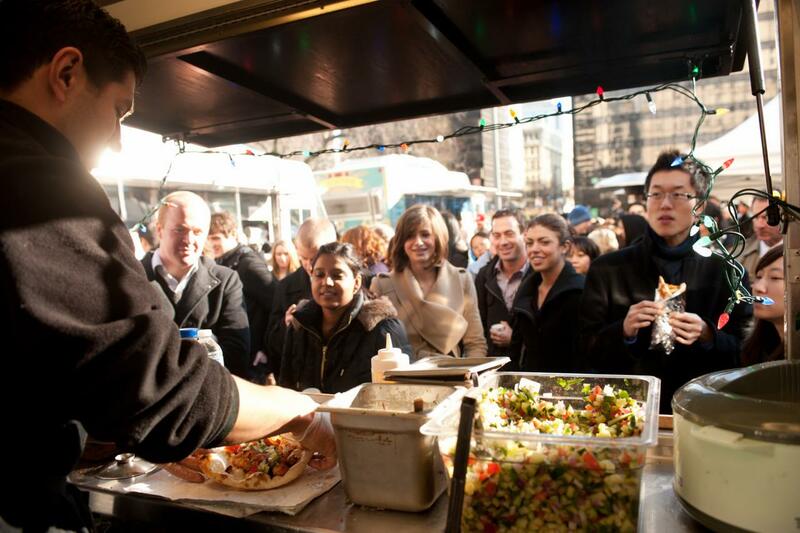 Now in its fifth year, Street Food City, Vancouver’s week-long annual “food truck pod,” returns January 16 to 24, as part of Dine Out Vancouver Festival. Presented by Tourism Vancouver, StreetFood Vancouver Society and the Downtown Vancouver Business Improvement Association (DVBIA), the cheerful pop-up showcase for local food trucks commandeers the north plaza outside the Vancouver Art Gallery. Inexpensive and constantly surprising in the array and quality of their offerings, more than 25 food trucks will be open for business from 11 am – 3 pm, Monday to Friday, and 11 am – 5pm, Saturday and Sunday. Admission to the plaza is free. Tents, tables and seating make for a comfortable atmosphere and lively music will be provided daily by local radio stations. Choose between hearty Aussie meat pies, the buzzed-about modern Asian cuisine of Le Tigre, world-famous Indian dishes from Vij’s, the homey comforts of Reel Mac and Cheese and the rib-sticking goodness of Serious Sausage. One dollar from each of the daily Dine Out Vancouver specials will be donated to A Loving Spoonful, a volunteer-driven, non-partisan society that provides free, nutritious meals to people living with HIV/AIDS in Metro Vancouver.